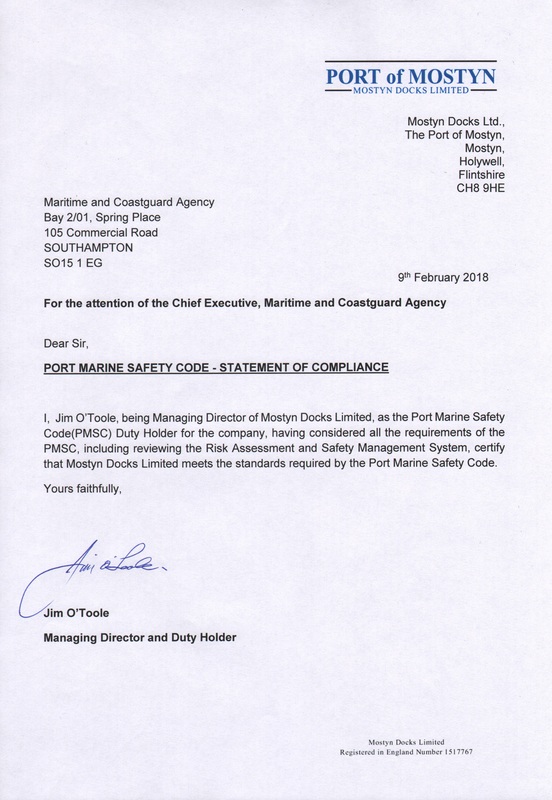 The Port Marine Safety Code (PMSC) 2009 places responsibility on all ports in the United Kingdom to provide a safe environment for vessels and people who operate within the port’s jurisdiction. 1) The Port is the SHA for all the berths and their immediate approach areas. 2) The Dee Conservancy is the SHA for the remainder of the esturial area. 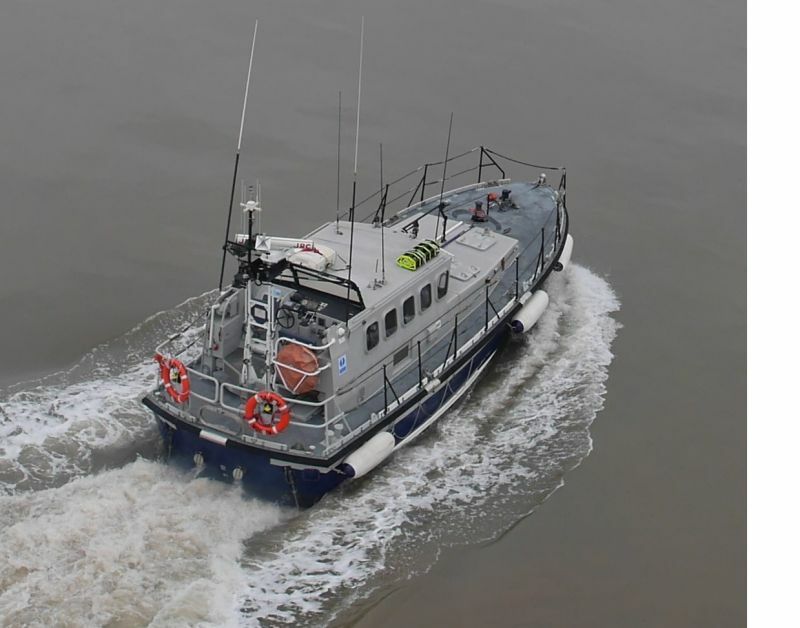 3) The Port is also the Competent Authority for Pilotage in the Dee Estuary Pilotage Area which extends from a seaward point off Point of Ayr upstream to the Old Stone Bridge at Chester. 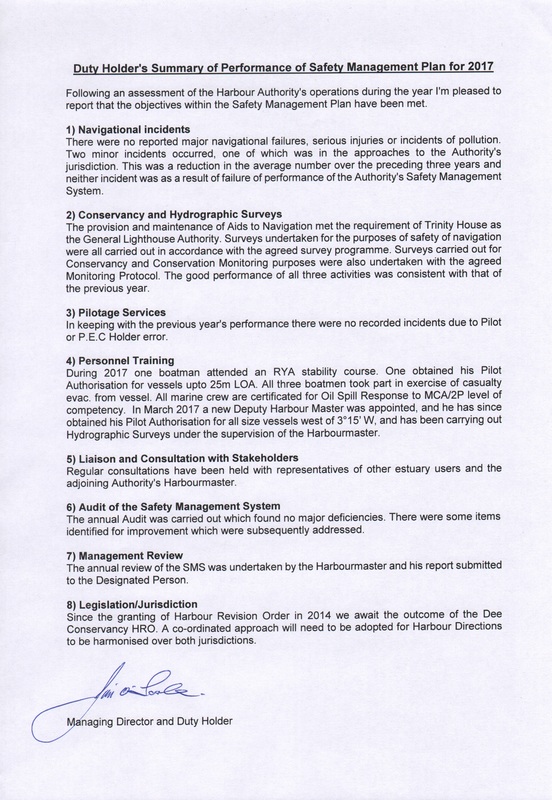 Safety of navigation in the Estuary is managed through a the Jointly Agreed Procedures Agreement between the Port of Mostyn and the Dee Conservancy. This agreement forms part of the Safety Management Systems of both the Port and the Dee Conservancy. The Port of Mostyn is responsible for safe navigation in the Dee Estuary which includes a requirement for periodic dredging of the harbour area and the navigational channel. 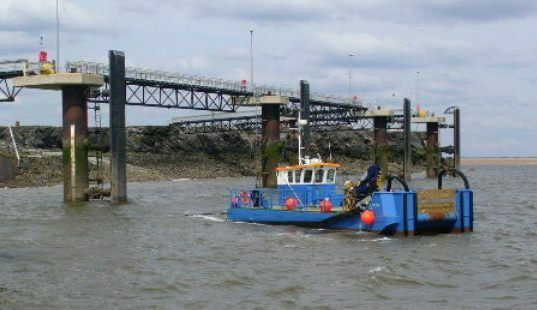 The Port of Mostyn’s dredging and disposal operations are undertaken in compliance with its current Marine Works License issued by the Welsh Government.